LRAD Corp. (LRAD-NASDAQ) has announced that it has loaned six acoustic hailing devices (AHDs) to the National Guard to aid in relief efforts following the massive flood in Northern Colorado. At least eight individuals were killed by the flooding and hundreds more remain missing. The flood caused an estimated $2 billion in property damage to buildings, roads, power and phone lines and other infrastructure in the area, hindering communication as well as search and rescue efforts. Continuing with our "earnings season highlights" coverage, LRAD Corp. (LRAD-NASDAQ) has reported its fiscal second quarter 2013 financials, which entail results for the Company’s three- and six-month period ended March 31, 2013. In addition to the below discussion, detailed information from Crystal Research Associates about LRAD’s business, product lines, strategies, market opportunities, and competition is available here, and the Company’s SEC filings can be accessed here. We just released our second business update on LRAD Corp. (LRAD-NASDAQ), a company developing and marketing acoustic hailing devices (AHD) that support the delivery and intelligibility of audio broadcasts over long ranges. Yesterday, LRAD Corp. (LRAD-NASDAQ), a supplier of advanced sound technologies for commercial, military, and government markets worldwide, reported that it received a $1.9 million order from the U.S. Army Reserves for its LRAD 500X™ and LRAD 100X™ Long Range Acoustic Hailing Devices. The company has long provided the Army with LRAD systems that can be vehicle-mounted to broadcast highly intelligible warnings and commands to soldiers and civilians at long distances. Following this announcement, the company released its financial results for the fiscal third quarter 2012, which ended June 30, 2012. The profitable LRAD Corp. also anticipated a favorable finish to 2012, as the company's move into a new facility with greater manufacturing capacity has recently been completed, which may allow LRAD to capitalize on its expected U.S. military and international orders for the year. For a greater explanation of LRAD's business, please consult our Quarterly Update on the company, published June 20, 2012. As well, LRAD's management is scheduled to discuss the company's fiscal Q3 2012 business and financial results on a conference call today, August 8, 2012, at 4:30 p.m. Eastern Time. On June 21, 2012, Crystal Research issued a Quarterly Update on LRAD Corp. (LRAD-NASDAQ), a company developing and marketing acoustic hailing devices (AHD) that support the delivery and intelligibility of audio broadcasts over long ranges. The 12-page Update is available here. Crystal Research has initiated coverage on LRAD Corp. (LRAD-NASDAQ) with the publication of a 64-page Executive Informational Overview® available here. 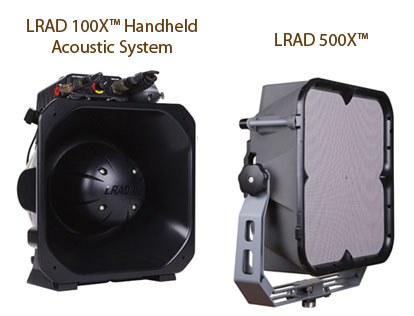 LRAD Corp. (“the Company”) develops and markets long-range acoustic hailing devices (AHDs) that are designed to improve the delivery and intelligibility of audio broadcasts. The Company’s Long Range Acoustic Device® (LRAD®) technology uses advanced sound reproduction technologies and novel acoustic materials to broadcast authoritative and highly intelligible instructions, warnings, alarms, and other sounds over several miles. LRAD® improves upon traditional speaker systems and megaphones by directing sound only where needed. Similar to a spotlight, which produces an intense beam of targeted light, each LRAD® system delivers a focused, directional audio broadcast. The beam width, frequency range, and maximum continuous output of LRAD® devices can be adjusted to target individuals, small groups, and large crowds at various ranges. LRAD Corp.’s versatile product portfolio has a broad range of applications, including military, wildlife and asset protection, public safety/law enforcement, and commercial security. At present, LRAD Corp. believes that its largest market opportunity is with the U.S. military. The Company is working with Kongsberg Gruppen ASA (KOG-OSE)—a global military and defense contractor—to develop Common Remotely Operated Weapon Stations (CROWS) that provide soldiers escalation of force options and the ability to communicate to targets (via LRAD®) from within the safety of their armored vehicles. Kongsberg currently supplies its PROTECTOR CROWS to the U.S. Army under a five-year framework agreement. As the agreement comes to a close, the Army has disclosed that the upcoming CROWS III contract is valued at $970 million (~3,000 units). LRAD Corp. and Kongsberg are working on a submission for the upcoming CROWS III contract and seek to obtain an initial order for field testing. As well, the U.S. Army has issued a public Request for Information (RFI) regarding 6,350 AHDs. LRAD Corp. is actively pursuing this opportunity and is hopeful that the process could advance to the formal Request for Proposal (RFP) stage in 2012. LRAD® technology is proving to be effective at preserving both wildlife and critical assets at airports, air bases, harbors, wind farms, tailing ponds, and other facilities. The Company reports that its devices have been installed in multiple mining operations for over two years and have reduced bird deaths from thousands annually to less than 20 per year. LRAD® may also benefit solar farms, nuclear power facilities, agricultural operations, fisheries, and other industries that have wildlife preservation concerns. The video below provides a demonstration of the ability of LRAD to deter wildlife from control zones. The Company aims to capitalize on successful trials and opening orders to date to further penetrate the wildlife and asset preservation market, particularly airports and clean/alternative energy applications (e.g., wind farms). From 1990 to 2009, bird strikes resulted in nearly 425,000 hours of aircraft downtime and roughly $375 million in monetary losses (Source: the Federal Aviation Administration). The U.S. Air Force has reported that it spends approximately $35 million annually to repair aircraft damage caused by bird strikes. Moreover, wind turbines cause roughly 440,000 bird deaths each year in the U.S. (Source: the U.S. Fish and Wildlife Service). In public safety, LRAD® systems can be an effective mass communications tool to quickly issue warnings, instructions, and directions during natural disasters, terrorist attacks, or other emergencies, even in areas where power and communication has been disrupted. In 2010, mass notification system sales in the U.S. alone exceeded $1.2 billion (Source: IMS Research). Additionally, LRAD® can be a critical part of the layered defense/escalation of force strategy for law enforcement and government agencies trying to control protests, riots, or other large crowd scenarios. LRAD Corp. has received substantial media coverage after its products were used for public safety in widely publicized events such as the G20 Summit in Pittsburgh during 2009 and the Occupy Wall Street movement in New York and Los Angeles in late 2011. The Company’s LRAD® products can help secure perimeters and protect infrastructure both on land and at sea. In the maritime setting, LRAD® technology has been used to secure ports and waterfront perimeters as well as to protect personal vessels and cruises ships against pirate attacks and other threats. The International Maritime Bureau (IMB) received reports of 439 pirate attacks globally during 2011, with 113 vessels fired upon, 176 ships boarded, 45 vessels hijacked, over 800 crew members taken hostage, and eight people killed. To date, LRAD® products have been used by the U.S. Navy, the South Korean Navy, and luxury cruise liners, among others, to successfully repel pirate attacks. Follow Crystal Research on Facebook or Twitter to be among the first to receive updates and announcements on LRAD Corp.'s latest development initiatives.